Kanye West kicked off his Paris Fashion Week concert series at the Fondation Louis Vuitton on Saturday. 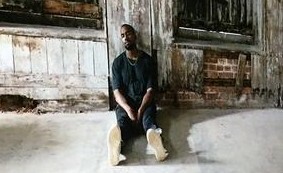 Prior to his performance, Mr. West screened his short film for “All Day” directed by 12 Years a Slave director Steve McQueen, who was also present. ‘Ye’s Paris concert series continues through Tuesday. Tickets are on sale at $109 apiece, with all proceeds going to charity. “All Day” featuring Theophilus London, Allan Kingdom, and Paul McCartney will appear on Kanye’s upcoming album So Help Me God. Get a first look at the epic video above.